Maintaining a youthful look is a constant struggle one faces as one age. The appearance of dynamic wrinkles is what gives an aged look to the face. A variety of cosmetic products have flooded the market which claims that they can reverse the signs of aging. Aging is essentially a process of two phenomena, gravity which makes it sag and volume loss which makes the face appears sunken. The formation of folds and wrinkles is inevitable as we age, but with the advancement in cosmetology, an array of non-surgical, anti-aging treatments are available in health care. The most common and popular of these treatments are injectables such as toxins (anti-wrinkle injections) and giving wanted results in return. Toxin treatment is a quick, relatively painless, non-surgical procedure to smoothen and soften dynamic wrinkles caused by muscles to form facial expressions. Men and women who want to improve their look by reducing fine lines and dynamic wrinkles should consider this non-surgical anti-aging treatment. At times because of genetics, too many dynamic lines can appear on the face as early as in the late twenties. The toxin is recommended as a preventive measure for someone who is prone to making facial expressions that can lead to wrinkles. It is a quick outpatient procedure. 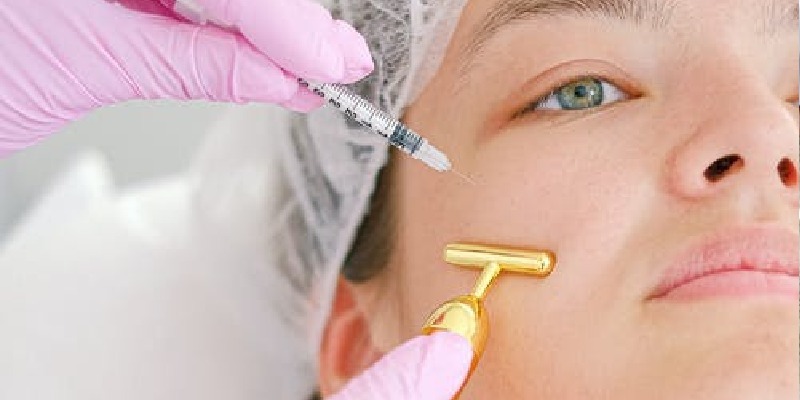 Toxins are strategically injected into muscles using tiny needles to temporarily paralyzes the muscles responsible for the creation of frown lines or crow’s feet etc. It is a pain-free procedure, patients may feel prick like the sensation of a mosquito bite following the procedure. Mild Redness, swelling or bruising may occur. But all these are temporary and will fade in a day or two depending on the patient to patient. Dr. Shilpi Bhadani offers a customized treatment for each patient, which includes injecting as little as required first for the optimum results then injecting more if required. Results vary from person to person. Patients usually see beautiful results within a week. The facial expressions are not frozen and one’s expressions are just softened by these injections. The effect of the treatment lasts for four to eight months.